Artwizz Micro USB Cable just can’t get enough! Why? Because the cable is compatible with modern cameras, headphones, laptops and all possible smartphone models. Regardless whether it is a Galaxy, Xperia or a LG it doesn’t matter at all! That doesn’t only apply to charging but also for the synchronisation between devices. Artwizz applied the USB 2.0 standard. Consequently your data is transmitted with up to 480 Mbit/s. 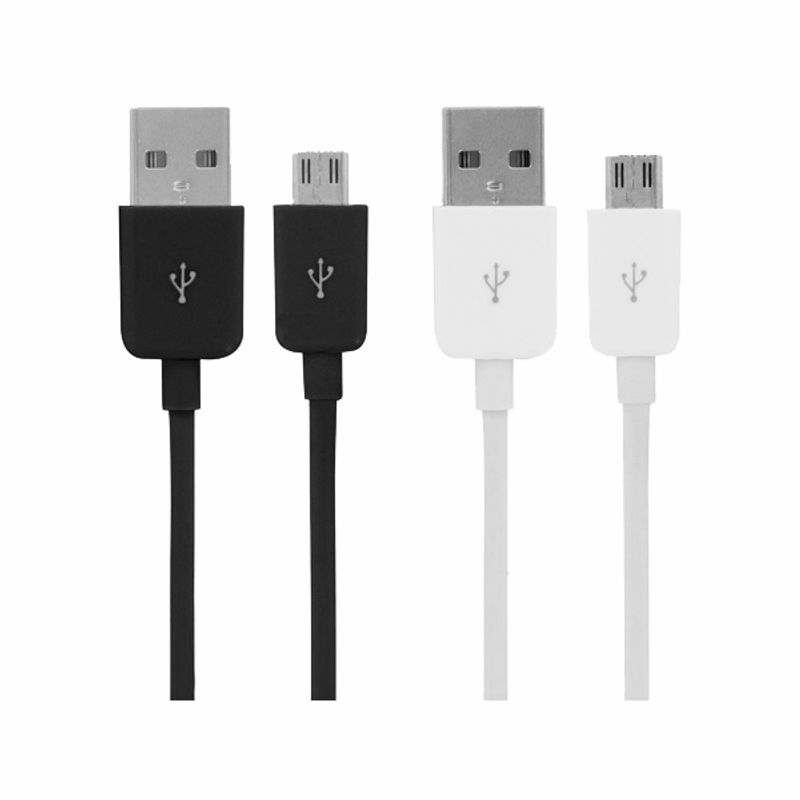 The numerous combination options are one of the general strengths of the Micro USB cable. Our Micro USB Cables are furthermore customised to meet your requirements. Regardless whether in a shorter version with only 25 centimetres length, a standard length of 1 meter or excess length of 2 metres. Just how you need it – for the office desk, car, photo studio or at home. In black or white they will perfectly match your mobile device or interior design. Artwizz USB-C Cable to Micro USB is 1 meter long and available in white. It is quite simple to combine our Micro USB Cable with different charging devices, like for example the PowerPlug for a connector or CarPlug for cars. Like all Artwizz cables our Micro USB Cables are not only practical but also provide greater safety thanks to the high-quality workmanship. The damage-resistant coating ensures a longer lifespan. You do not want to miss any news, promotions or events? Subscribe to our newsletter now! Do you have a question, a problem or any other concern? We are pleased to help you! From an order value of 24.98€ we will take over your shipping costs within Germany! You can find Artwizz products across Germany in most electronic and mobile telephone shops. We want you! Discover our job offers and become part of our team! ©2019 Artwizz GmbH Artwizz is a trademark of Artwizz GmbH All prices include 19% value added tax and exclude shipping costs. Sales on artwizz.com are carried out by dynamic SHIELD GmbH.